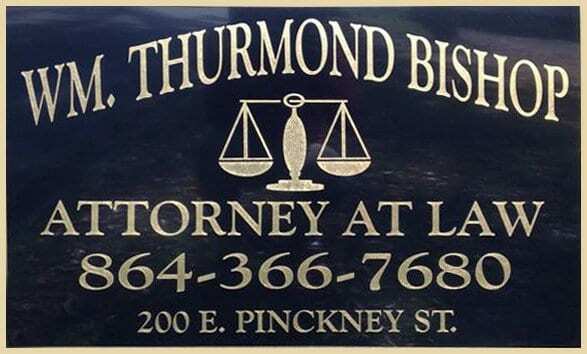 Attorney at law Wm Thurmond Bishop is a criminal defense, bankruptcy, and personal injury lawyer in Abbeville, SC. A native of the Lakelands area of South Carolina, he graduated from Greenwood High School in 1957, then continued his education at The Citadel and the University of South Carolina School of Law. After graduating from college, Mr. Bishop served 3 years in the US Army with a tour of duty in Vietnam. He then returned home to practice law for many years. He served as County Attorney for Abbeville County and as Public Defender for Abbeville and Greenwood Counties from 1986-1987, then became a U.S. Bankruptcy Judge for the District of South Carolina. Mr. Bishop was appointed Chief Judge in 2002 and continued in that capacity until his retirement from the bench in 2006. 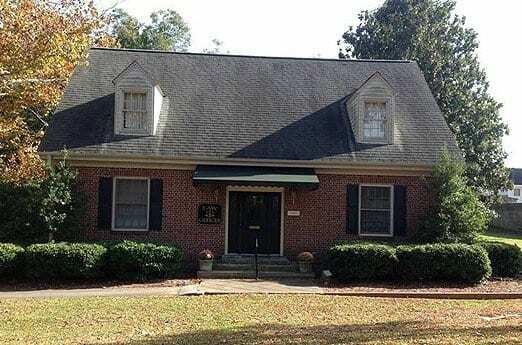 He then returned to the general practice of law in Abbeville County. Mr. Bishop is married and has four children and is a member of the Presbyterian church. If you need a general, personal injury, criminal, or bankruptcy attorney in Greenwood and Abbeville, South Carolina, please call The Law Firm of Wm Thurmond Bishop to schedule a consultation. Personal injury lawyer in Abbeville for on-the-job injuries, auto accidents, medical malpractice, slip and fall accidents. Closings, homeowners’ associations, covenants, foreclosures. South Carolina bankruptcy attorney for Chapter 7 & Chapter 13. Alimony, child custody, child visitation, child support, distribution of property, division of debt, adoptions. Personal crimes, property crimes, statutory crimes. Wills, probate and estate planning, creation of documents to protect assets and rights. The Law Firm of Wm Thurmond Bishop is proud to serve the entire Lakelands area of South Carolina.  Our practice can help with all of your legal needs. Attorney Wm Thurmond Bishop has over 43 years of experience in several different legal realms. Mr. Bishop is an “AV” rated attorney by Martindale Hubbell – the preeminent and highest ranking for ethics and legal ability. This diverse background allows him to offer the best legal advice available. Call our office today if you need a personal injury lawyer in Abbeville, a criminal defense attorney in Greenwood, or are looking for South Carolina bankruptcy attorneys. 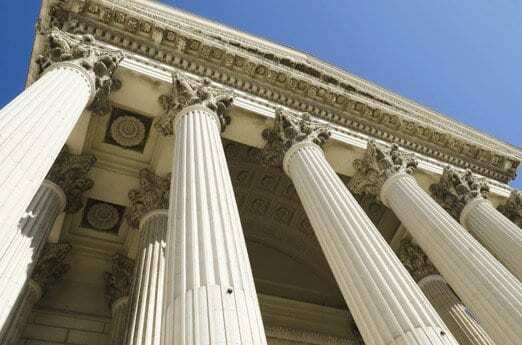 Our areas of practice also include criminal law, real estate law, divorce law, and estate planning.